If you want to test new ideas, make temporary use of space to inspire future use, or engage with a certain community, then the Empty Shops Network can help you devise, create, deliver and evaluate a project. We’ll bring expert knowledge, experienced practitioners, practical resources and a no-nonsense approach that gets the job done within budget and to a set timetable. The Empty Shops Network has been commissioned to run projects across the UK with partners like the Culture Quarter Programme, Royal Opera House, South Kilburn Neighbourhood Trust, Woodard’s The Littlehampton Academy, The Meanwhile Project and Worthing Borough Council. In 2012 alone, the Empty Shops Network visited London, Amsterdam, Bexley, Brighton, Bedford, Chichester, Coventry, Enfield, Eastbourne, Guildford, Halifax, the Isle of Wight, Leeds, Lewes, Littlehampton, Manchester, Margate, Portsmouth, Rochdale, Rotterdam, Salford, Shoreham, Southampton, Streatham and Stresa in Italy – providing guidance, support and advice to people wanting to use empty shops. Sometimes an inspiring talk is all it takes, or at other times more support as your team to devise, plan and run a project. From standing up and talking to leading workshops, from providing background information and evidence, to helping write local authority strategy documents, from a quiet conversation with local partners to advocacy at the highest level, the Empty Shops Network is the most experienced, well-travelled and useful partner you could hope for. We’ve worked as consultant on projects with people like vInspired, Spacemakers and Retail Trust, and written documents for Living Places, The Meanwhile Project, Coventry City Council and Bedford Council. Devising, planning and delivering your own project means you’re in control, and thanks to the Empty Shops Network you can do it armed with knowledge, resources and lots of case studies. 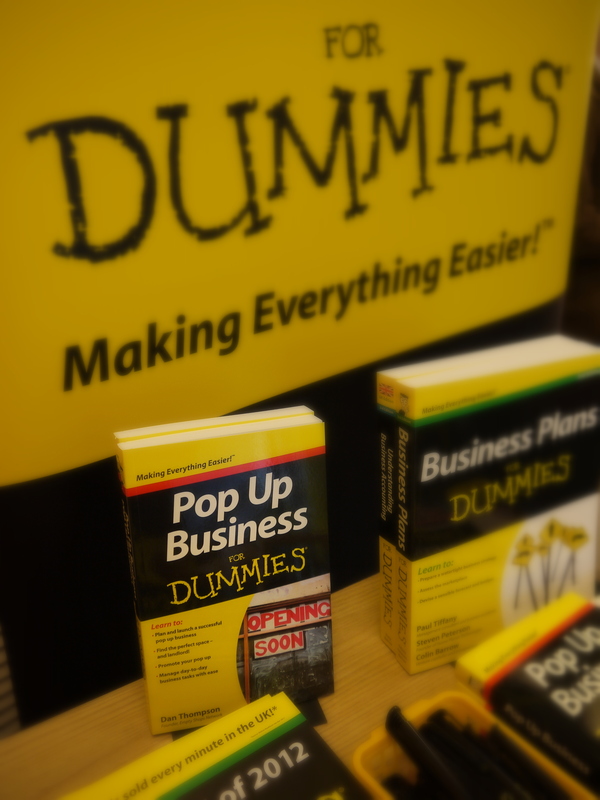 Make sure you’ve got a copy of Pop Up Business For Dummies close at hand. It was written by the Empty Shops Network founder Dan Thompson and published in 2012. It’s more comprehensive than the earlier Empty Shops Toolkit and Workbook. It’s packed with twelve years of practical knowledge and the experience of dozens of projects from across the UK. Spare Place is a crowdsourced map of useful spaces like meeting rooms, church halls and community buildings – many of which can be used for pop up activity. Once your project is up and running, let us know. We’ll could review it or ask you to write a guest blog, we may include it in future research, and we might tell the media, who often ask us for case studies and pop ups to visit.